All employees are committed to customer satisfaction and ensuring all equipment is tailored to customer’s individual requirements. Global Access Platforms has become a thriving business through word of mouth for continual customer satisfaction and professional adherence to evolving Health & Safety legislation. We have maintained and improved on our reputation for over 20 years and within this time we have worked with and provided services for large national and international worldwide companies and small local businesses. Through this vast wealth of experience, we have made a lot of connections both locally and internationally and this is still one of the main sources of our new and returning customer base. The main purpose of this website is to reach out to potential customers across the UK, across Europe and beyond. It is also to provide new and potential customers with full information on the equipment and services we provide, and our contact details so they can find out about the flexible lease plans, rental agreements and equipment that we sell. We also provide a full assembly and dismantling service for instances when equipment is only required for short term usage, plus related training courses to ensure safety on site. 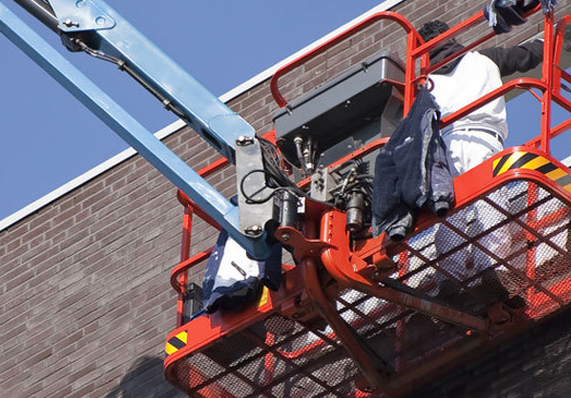 For working at heights, we most popularly distribute; scaffold towers, mobile towers, standard & bespoke staging, hop-ups, powered access, cherry pickers, scissor & boom lifts and much more. 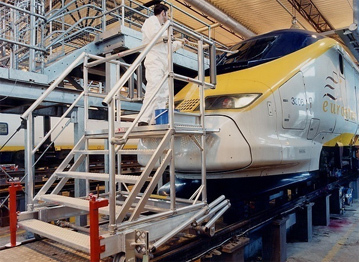 The main sectors we supply services and equipment for are – Rail, Aviation & Aerospace, Automotive, Offshore, Renewables and Nuclear. No matter which sector you’re in, our qualified staff have enough experience to carry out a professional inspection of your site and inform you of what you need to complete a project safely and efficiently. 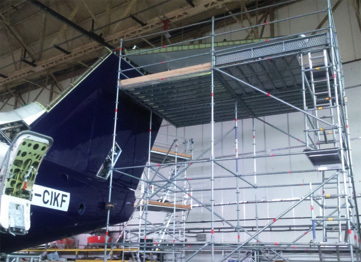 The Quick-Step has been re-designed to allow for external offshore use in Beaufort 8 windspeed and due to the ladder having continual contact with the ground it removes the need for many offshore safety rulings. 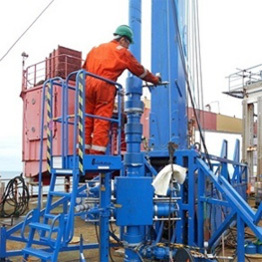 Given the harsh nature of the offshore environment we have equipment ideally suited to cope with these conditions. This can be standard or bespoke with the added advantage of being non-corrosive, non-conductive and spark resistant. 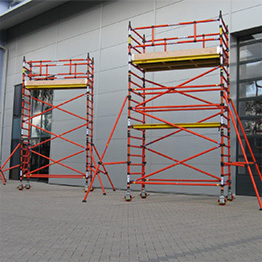 Our wide range of static and self-propelled access platforms vary from personnel lifts, scissor lifts, boom lifts, trailer and vehicle mounted platforms all supplied from world leaders in the access platform marketplace. 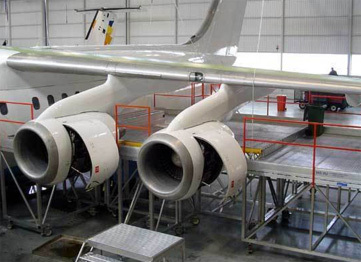 Catering for all industry types Global Access Platforms have the solution for aircraft docking systems providing cleaning and maintenance access requirements for food production, retail and countless other industry sectors. Global Access Platforms realise that not all our customers need to own aviation staging that's why we have developed a rental solution which includes for the delivery and on site assembly of the to meet all industry standards. Global Access Platforms provide pre-owned equipment, from reputable sources, giving you the benefit of a 90 day warranty backed up with a full service/LOLER and re-painted in the manufacturer’s original livery. 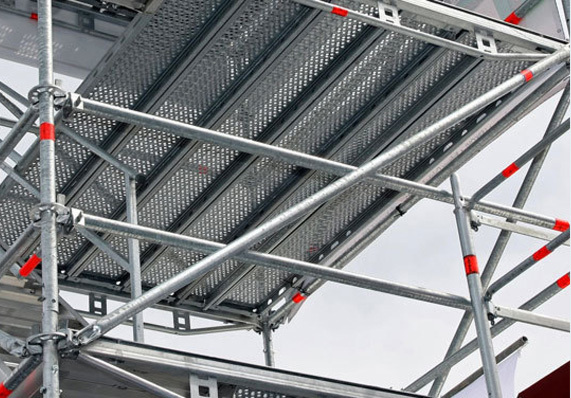 Mobile Towers, podiums and walkways: Global Access Platforms provides tower solutions in standard or bespoke form. These solve problems associated with working in areas where chemicals, corrosion or electrocution risks are apparent.